So, you want to get ahead at work. Who doesn’t? 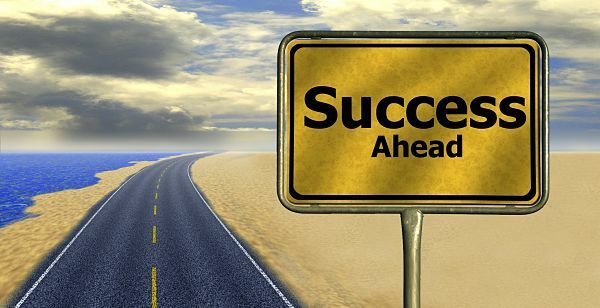 Almost everyone has dreams of career advancement, whether in the near or distant future. That’s part of the reason the workplace is so competitive. Everyone wants more money, more fulfillment, and more recognition. We’re all fighting for the same things and, unfortunately, we can’t ALL win. Some people will rise to the top. Others will sink to the bottom. Others will stay in the mediocre middle for all of eternity. Is that harsh? No, it’s reality. And it shouldn’t surprise anyone. We all know we’re in a competitive economy. The workplace doesn’t reward complacency; it rewards forward motion—those who are progressing, producing, growing, and evolving. How does one demonstrate forward motion? There’s only one no-fail strategy. It’s the number one most important tool you absolutely must be utilizing consistently in order to advance your career. Doing this one thing will exponentially increase your chances of career success and meeting your professional goals. 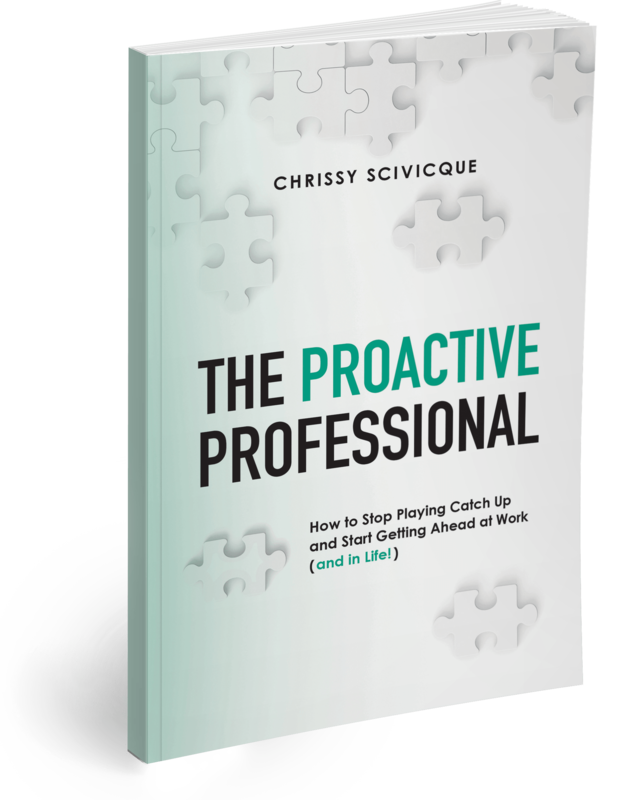 Regardless of where you are in your career and regardless of where you want to go, you should ALWAYS be actively participating in Professional Development & Career Advancement Training. Unfortunately, most people wait and only do training when there’s a specific need—when they’ve already fallen behind and they’re trying to play catch up. But that’s not proactive. What that means is that you have the opportunity to really make yourself stand out from the crowd by proactively expanding your skills on a regular basis. Simply defined, Professional Development & Career Advancement Training includes any guidance, advice, or instruction that elevates workplace skills and performance, and is provided by a subject-matter expert. It can take a multitude of forms, which we’ll discuss in a minute, and it’s designed to make you a more valuable asset in the workplace. Just in case you question the fact that I’m calling this the NUMBER ONE most important thing you can do for your career, let’s look at just a handful of the MANY outcomes this kind of training and development creates for professionals. 1. It shows you’re not a know-it-all. No one likes a person who thinks he or she knows all there is to know about a subject. And let’s be real: No matter how experienced you are, and no matter how good you are at your job, the business world is constantly changing and evolving. You never know it all and you never will. Pretending like you do only makes you look ignorant and stubborn. Who advances with an attitude like that? No one. 2. It shows you’re not overly set-in-your-ways. Consistency is good; rigidity is not. You want to consistently do your best and perform at top levels. But when you’re inflexible and unable to adapt, you’ve fallen into “rigidity” territory. Being too set-in-your-ways can make you look unwilling close-minded. After all, your way isn’t necessarily the best way. Maybe it was last week. But there’s no guaranteeing it will be next week. You have to show your employer that you’re eyes are open. You’re always looking for a new approach that will bring greater value to the company. 3. It keeps your skills up-to-date and razor sharp. Even if the duties of your job are pleasantly diverse, we all fall into patterns and routines in the workplace. In truth, we only use a fraction of our skills and abilities on a regular basis. The ones we don’t use slowly deteriorate, making us more narrowly confined to our current position. Professional Development & Career Advancement Training helps prevent that kind of atrophy. You want to get stronger, not weaker! By keeping your skills fresh, you’ll become (and stay) a more well-rounded professional. 4. It keeps you competitive in the job market. Who knows what’s going to happen and when? No matter how secure you feel right now, you could find yourself in the middle of a job search before you know it. Participating in continued professional development and career advancement training will ensure you’re at the top of your game so, should something unexpected happen, you’re ready to jump in with both feet. Plus, prospective employers love to know this is the kind of professional you are. It’s definitely something you should be vocal about in interviews. A job candidate who expresses a desire and commitment to constant professional growth is far more compelling (and valuable) than one who doesn’t. 5. It keeps you challenged and mentally engaged. The key to professional passion is mental stimulation. But here’s the kicker: Sometimes, you have to create it yourself. Many jobs—even great, well-paying jobs—become mindless after a time. It’s just human nature. We start to disengage after we’ve done something long enough. Professional Development & Career Advancement Training, however, opens your mind. It challenges you. It encourages you to try new things, to shift the way you’re thinking about old things, and to simply become more aware of what you’re doing and how you’re doing it day in and day out. When you’re really using your brain, you’ll feel more satisfied. 6. It shows you’re committed to your professional success. Employers want to know that you’re an equal partner in your professional success. They’re willing to commit more resources in your growth and development when they know you’re doing your part. Whether you want your company to provide tuition assistance for a college degree, or if you’re just looking for some additional support from your boss, you’ll be taken more seriously when everyone knows your career is important to you. 7. It shows you’re willing to do the work (and invest the resources) to become the professional you want to be. Participating in continued Professional Development & Career Advancement Training visibly demonstrates that you’re not afraid of doing what needs to be done to make your career dreams a reality. It shows that you’re not all talk. You’re willing to make sacrifices if and when needed—sacrifices of time, money, and energy. And ya know what? That pays off. Employers see this and they know you’re an asset. They want to keep you happy and they want you to grow with the company. Knowledge is no use without action. When you learn a new skill or strategy, put it to work immediately. As adults, we learn best through experience. So, as you use your new knowledge, it will become engrained. Don’t hide the fact that you’re growing and learning! Flaunt it! Share it with superiors and prospective employers. Tell them what you’re learning and why it’s important to you. Better yet: Show them your new skills in action. When you learn something new, don’t keep it to yourself. Provide others with support by sharing your knowledge. You can schedule a lunch and learn to give your co-workers a breakdown on a new strategy you’ve found exceptionally helpful. Or you can simply forward some class notes to your colleagues for review at their convenience. Whatever you do, training others will raise your visibility and establish you as a leader and subject matter expert. Your resume should always include an education section. Unfortunately, many people only display degrees and certifications here. However, it’s perfectly acceptable to include ongoing Professional Development & Career Advancement Training activities. Even if there’s no specific degree or certification you’re working toward, prospective employers want to see that you’re actively engaged in learning. Another way to create visibility for what you’re doing (and to hold yourself accountable) is to add continued education to your performance goals or your professional development plan (PDP). This helps you establish some parameters around what you want to accomplish and by when, and helps keeps you on track. It’s easy to put learning objectives on the back burner, but making it “official” like this increases your chances of keeping it front and center. So, you’re ready to get started, right? Now the question is: What are my options? Here’s the good news: You have a LOT of options. In order to choose, first consider your own preferences. How do you learn best? Are you a classroom kind of person? Do you need a rigorous schedule to stick to or do you prefer to work at your own pace? You also need to consider your resources: How much time do you have? How much money are you willing to spend? All of these things play a part in your decision-making process. Do your research. Make sure you’re getting a good deal. There are a lot of providers who charge astronomical fees for the world’s most basic training. Don’t be taken advantage of! Find reputable sources. Make sure the trainers are subject-matter experts who have proven, real-world capabilities. You don’t want to take career advice from just any old yahoo. Look for testimonials or quotes from past participants. I hope I’ve convinced you that Professional Development & Career Advancement Training is critically important for your career, and I hope you feel empowered to get started. A common scenario I run into, however, is this: Professionals are eager to start an ongoing learning routine. They understand the value. And yet, they come up with all kinds of excuses to put it off infinitely into the future. I have too much going on in my life right now. I have too much stress right now. Let’s be clear: RIGHT NOW is exactly when you start. But RIGHT NOW is almost never a “good” time. I get it. But you need to find a way to put your excuses aside and make it work RIGHT NOW. Professional Development is an investment. You have to put something in to it to get something out of it. Like any investment, it requires a decision. You have to choose to do it—take the risk in order to reap the reward. Put your money where your mouth is. Dedicate the resources needed to get where you want to go. Otherwise, it won’t ever happen. And remember: If you’re not willing to invest in yourself, why would anyone else want to? Go on, say it out loud. Embrace this idea. Live it. If you want to get ahead in your career or just life in general, you must always think of yourself in forward motion. Don’t get stagnant or complacent. Your mind is terrible thing to waste. Keep it open, engaged and stimulated. This might require a slight shift in perspective. Stop thinking of “success” as a destination. It’s a journey. It’s a constant process of growth and evolution. It doesn’t end. Every goal you reach should lead to a new one. And every day, you should learn something new. You’re right – absolutely epic! Thanks, Chrissy! You nailed it, Chrissy! 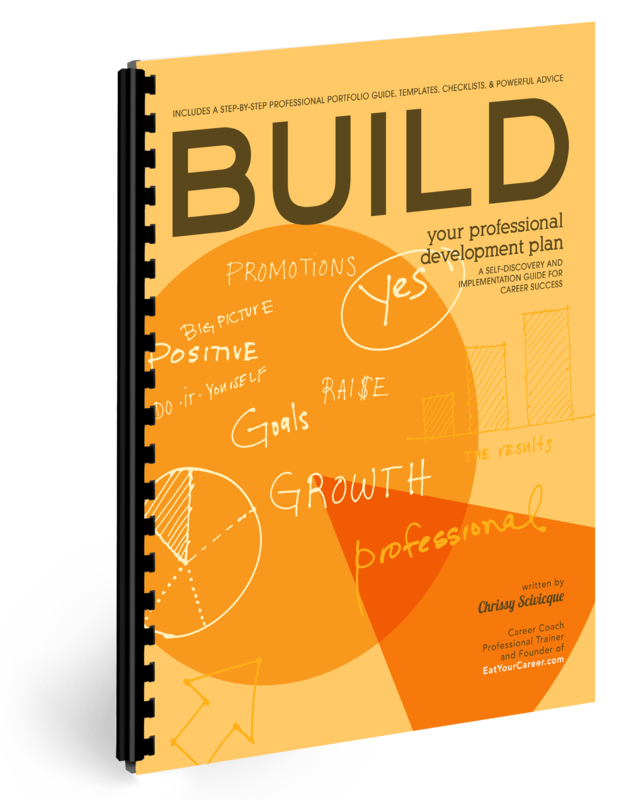 An individual’s professional development is their responsibility alone – NOT their employer’s. There are so many free and low fee options available both in person (at local networking events) and online (virtual webinars or teleclasses) if you are willing to look for them. Social media makes it even easier to engage with and find these resources. Even if someone just starts with reading a news article or blog post once a day, it’s a start…and it will make a difference over time. Thanks for this most excellent post! You are always “On Point!” thanks so much for all your great advice Chrissy! Great article Chrissy! I agree. It is important to keep our mind stimulated through learning. There are so many mediums we can learn from and believe if one sets a goal to invest a certain amount of time and/or money in professional development they will reap positive results. This is great. Is there a step by step process on how we implement it.